Could you beat the pros on a Giro d’Italia climb? Reckon you could climb faster than a professional? Well, the Gran Fondo Giro d’Italia will give you the chance to compare your times with some of the best in the world. With the Giro d’Italia’s queen stage taking in the Passo del Mortirolo on May 26, amateur riders have the chance to set their stall out the week before with a timed ascent of the mountain. As part of both rides, riders will be timed from the bottom, in Mazzo, to the top 12.8km later. It’s not for the feint of heart, however, with the climb coming 127km into the Gran Fondo; the fourth of five climbs on the route. At an average gradient of 10.8 per cent, and a maximum of 18 per cent in the fourth kilometre, the climb features a continuous stretch of six kilometres at an average of over 12 per cent. For comparison, Tinkoff-Saxo’s Sergio Paulinho stands ninth on the Strava leaderboard for the pass, ascending in 55 minutes. 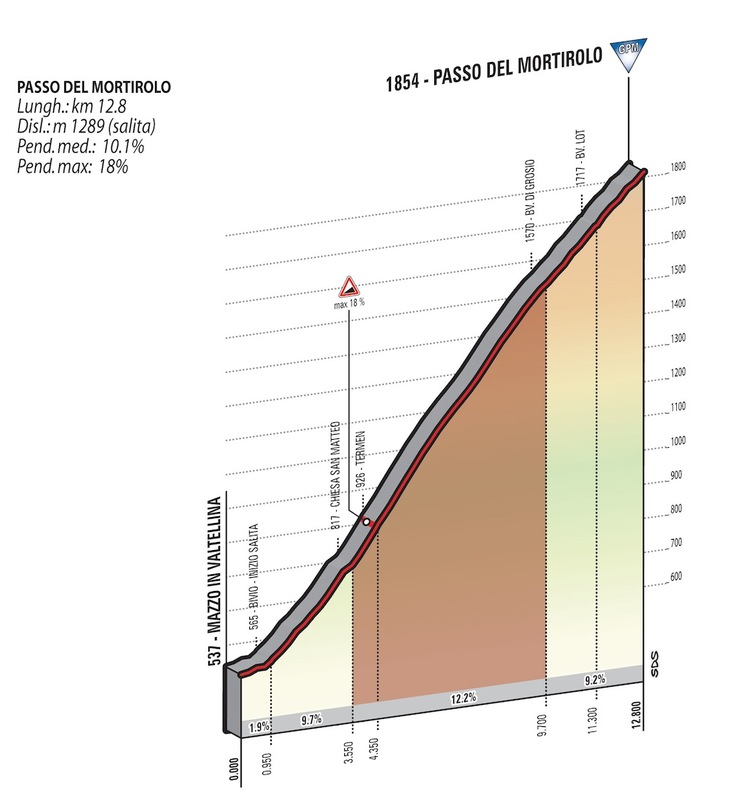 It’s a devilish ploy by the organisers, as the Mortirolo is not the last climb on the route. Having emptied their legs in search of a good time, the riders will then descend for 20km before hitting the final climb up to Aprica. For more information on the Gran Fondo Giro d’Italia, visit the sportive’s website.